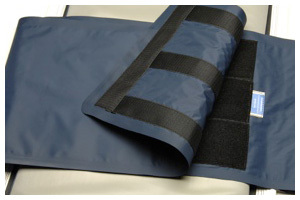 Columbus Healthcare Products, manufactured by Columbus Canvas Products, is a healthcare product manufacturer with a focus on patient safety. We provide high-quality antimicrobial fabrics to produce a product that is built to last. We are proud to serve the healthcare industry with clients nationwide, and have the manufacturing capability of furnishing large hospitals with the caring support to help each customer fulfill their specific needs. 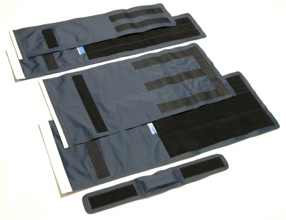 Scan-Bands® Radiology Straps are designed for patient comfort, safety and to produce the best possible image outcome. 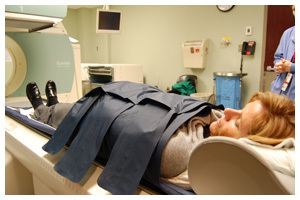 We manufacture a wide variety of straps that are available to fit virtually any CT or Nuclear Medicine imaging table. Keep patients safe and comfortable on narrow imaging tables while reducing movement, maintaining IV patency and getting the best image result. 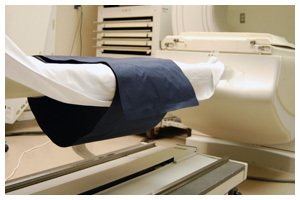 Antimicrobial fabric inhibits the growth of bacteria and reduces the risk of patient cross-contamination. It is also latex-free and self-deodorizing so it is safe for most patients use. We use a welding manufacturing technique so are products are stitch-free and easy to wipe and keep clean.